Buford, GA – July 20, 2015 – Tracy Cousineau recently joined Brian Tracy and a select group of business leaders from around the world to co-author the book titled “UNcommon.” The book was released on June 11, 2015 by CelebrityPress™ – a leading business book publisher. 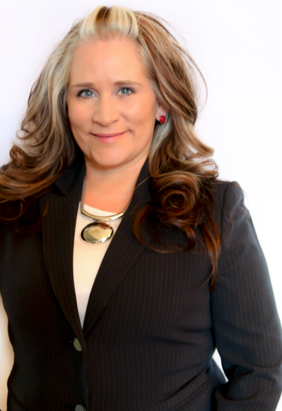 Tracy Cousineau is the leader of one of the nation’s fastest growing real estate teams. She started her career in 1988 in property management from humble beginnings, leasing apartments. Quickly she rose through the ranks of the company to become one of the company’s top producers. In 1999, Tracy decided to take her career to the next level and jumped into the highly competitive world of residential real estate. Tracy, being highly competitive and determined, quickly became a force to be reckoned with inside her market place. She built a successful real estate team that she developed, trained and taught numerous real estate agents. During this time period, she won many awards and helped hundreds of families achieve their goals of buying and selling homes. When her marketplace started it’s downhill spiral in 2007, Tracy was still selling many homes within the plummeting new construction market. In 2009, she gave birth to her third daughter, lost her mother to ovarian cancer, and her real estate market turned upside down. Tracy decided to not concentrate on real estate and took the next two years to an idol pace. This time period was unforgettable and was a time that a lot of strength was built from within. After such a successful release, Tracy Cousineau will be recognized by The National Academy of Best-Selling Authors™, an organization that honors authors from many of the leading independent best-seller lists. In November of 2011, still in a dismal real estate market, Tracy decided to step back into the real estate market full time. Tracy and Jason Williford, her business partner, opened The Tracy Cousineau Home Selling Team and have not looked back since. Her sales volume has doubled three years and is on track to be one of the top real estate teams in the state of Georgia. In June of 2014, Tracy and Jason opened their own real estate brokerage, Real Estate Expert Advisors, a high-powered real estate brokerage of well trained, full time real estate professionals. In the future, Tracy plans to open more branches of the brokerage. Her mission is to maximize the value that she brings to her clients. She has strategic plans backed by market research to give home sellers maximized return on their investment. In turn, her goal is to help buyers clients of the firm find the perfect home, negotiated at the best price. Board Certified Plastic Surgeon, Dr. Verne Weisberg Speaks to The Dangers of Medical Tourism.